First, these results and the methodologies that produced them have been thoroughly criticized by experts in the field. In one case, the metric that was being used to evaluate the health of patients who were being prayed for actually rated some of them as healthier when they were dead. Second, it would be foolish to conclude that even if these claims about quality of life were true, that somehow shows that there is theism is correct and atheism is mistaken. What would follow, perhaps, is that participating in social events like those in religious practices are good for you, nothing more. There are a number of obvious natural explanations. Third, it is difficult to know the direction of the causal arrow in these cases. Does being religious result in these positive effects, or are people who are happier, healthier, and not depressed more inclined to participate in religions for some other reasons? Fourth, in a number of studies atheistic societies like those in northern Europe scored higher on a wide range of society health measures than religious societies. 1. You can’t prove atheism. 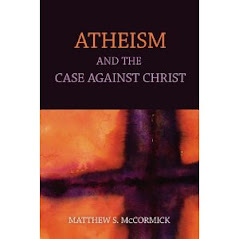 Atheists are frequently accosted with this accusation, suggesting that in order for non-belief to be reasonable, they must have presented deductively certain grounds. Many atheists within the deductive atheology tradition have done so, but those arguments are frequently ignored. But more importantly, the critic has invoked a standard of justification that almost none of our beliefs meet. If we demand that beliefs are not justified unless we have deductive proof, then all of us will have to throw out the vast majority of things we currently believe—oxygen exists, the Earth orbits the Sun, viruses cause disease, the 2008 summer Olympics were in China, and so on. The believer has invoked one set of abnormally stringent standards for the atheist while helping themselves to countless beliefs that cannot satisfy those standards. 2. The evidence clearly supports believing. Of all the objections considered here, this one has the most traction and is most to the point. If in fact there is sufficient evidence to indicate that God exists, then a reasonable person should believe it. Surprisingly, very few people pursue this line as a criticism of atheism. But recently, modern versions of the design and cosmological arguments have been presented by believers that require serious consideration. Many atheists cite a range of reasons why they do not believe that these arguments are successful. If an atheist has reflected carefully on the best evidence presented for God’s existence and finds that evidence insufficient, then it’s implausible to fault them for irrationality, epistemic irresponsibility, or for being obviously mistaken. For the most part, the criticisms of atheism that I have encountered fall into one of these categories. Are there others that are interesting or provide us with something more substantial to consider? It’s stultifying how many believers, and even agnostics, will cling to the idea that there still could be something to the God idea long after it is obvious that the traditional, mainstream notion of God founders on the rocks of its own incoherence. Lots of people will readily agree, when pressed, that the notion of an invisible, magical being with super powers who reads minds and grants wishes is silly. And they will concede that the people who originally propagated the idea knew far less about the world, were more superstitious, and less intellectually and scientifically advanced than we are. But they continue to maintain that the collapse of that old world notion isn’t sufficient to justify drawing the larger conclusion that there is no God. They continue to treat other variations on the God theme as viable, live alternatives that have a substantial, or at least non-negligible chance of being true. This response to atheistic arguments is baffling because once the main leg of traditional theism has been pulled out, the atheist can’t see what grounds continue to sustain these alternative views. If the central idea of God doesn’t work, the default view should not be to keep considering close alternatives to it in the hope of finding one that works. Once the central pedestal of the edifice crumbles, there’s really nothing left to prop up the others. Think of it this way. Suppose Smith finds a Sherlock Holmes book, reads it, and, not realizing that it is fiction, gets very excited about the idea that there really existed such an inspiring and clever crime solver in 19th century England. Then Jones tells Smith that Holmes is a fictional character made up by Arthur Conan Doyle. The reasonable thing for Smith to do is not to respond, “Well, maybe Doyle’s character is made up, but you just never know—there could be a real Sherlock Holmes that we don’t know about. I’m going to keep investigating until I find him.” Smith would be patently irrational to suspend judgment or to be agnostic about the real existence of Sherlock Holmes in this case. The same goes for Santa. Suppose that when your parents finally told you the truth: they bought the presents and put them out under the tree at Christmas, and they ate the cookies to make it look like Santa was there, you proclaimed that you were going to keep looking and keep holding out hope for another, real Santa. Since you never know what could be out there, and since there is so much we don’t know about the world, the reasonable thing to do would be to not jump to conclusions and to remain agnostic about Santa. Ok, so my point should be clear. In ordinary circumstances, when we discover the real source of some idea like Santa, or Sherlock Holmes, or the Easter Bunny, the reasonable response is not agnosticism. Once we’ve discovered the origin of an idea and we have reasons to think that that was all that it ever was, then it’s not reasonable to go on indefinitely entertaining other slightly varied possibilities and treating them as live candidates for the truth. Once the main balloon has been deflated, the others go flat too. The balloons have been popped a couple of ways. First, we've expended a countless amount of energy trying to find compelling evidence for God. And what we have found hasn't been compelling--it certainly hasn't been as compelling as you'd expect to find if there were a God and he wanted to be known. Furthermore, I submit that we have ample alternative explanations for the origin of the religious ideas in Christianity and the other most common religions. Two thousand years ago people weren’t equipped with the concepts, the methods, or the knowledge about the world to discriminate true from false concerning mysticism, magic, spiritual claims, messiahs, transcendent beings. Their culture, their language, their social traditions, and their lives would have been abundantly populated with mysterious, supernatural beings, forces, and events. They didn’t know where babies come from, what a disease was, that the Earth turns, or about probabilities (probability theory was only discovered a few hundred years ago). They would have been incapable of giving any putative religious events or claims the sort of careful, reasoned scrutiny that they require. The list of plausible natural alternative explanations for the origins of human religions goes on. Now my point is, once we have come to understand those alternatives and once we have judged some or many of them to be probably true, then what is left to put wind in the sails of religious belief besides our longings? Maintaining agnosticism in this situation is disingenuous, or at least it is grossly out of synch with our epistemic standards in other non-religious situations like Santa and Sherlock Holmes. Either you need to be agnostic about Santa too, or you need to admit that mere possibility doesn’t elevate the God idea to the level of a viable, live hypothesis that ought to be considered seriously. Maintaining agnosticism about God when you would not do the same for so many other spiritual, mystical, or magical entities suggests that the agnostic isn’t really suspending judgment; he’s a closet believer who’s grasping at straws. Design Shows that there is No God. Here’s a problem for design arguments. The best examples of design that we know that might allow us to develop a teleological argument for God are instances where we designed and created artifacts. Then we can identify the properties that are present in those artifacts in virtue our our intelligent design. To the extent that the universe possesses those properties, we can then argue that the universe was designed as well. Any properties that we would find in the universe that might suggest that it as an artifact will be properties that we have observed in artifacts that we have created. But the properties that we find in our artifacts that indicate that they were created all directly or indirectly reveal our limitations, our inabilities, and other finite aspects of our creation. So the properties indicative of creation that we might find in the universe will also point to limitations, inabilities, and finite aspects of the creator of the universe. That is, our best examples of artifact creation are anthropomorphic—they reflect our limited natures. So if we find features in the universe that harken to human creation, at best, they will suggest an anthropomorphic, non-divine creator. But if God really does exist, then the universe was not created by a limited, unable, finite being, and the markers of intelligent design in it will not resemble our own. If an infinitely powerful and intelligent being created the universe, then results of its creative act will not resemble the results of our finite efforts. So pointing to anthropomorphic design features in the universe actually suggests that God, a divine being who would be capable of much more, was not responsible. And if God did not create the universe, that suggests that God does not exist. It’s a bit like the old Groucho Marx line, “I wouldn’t want to be a member of any club who would have me as a member.” If the design features in the universe are ones that we can recognize from our perspective, then the being responsible must not be God. God wouldn’t do such shoddy work that we’d be able to see the seams, nails, and construction evidence. So if we can see the evidence of construction, then God wasn’t the one who did the job. Furthermore, it’s an all or nothing gig for God—either he created the universe, or there is no God. There are no in between alternatives. So if we can see design in the universe, then there is no God. This raises an interesting point about belief that I typically don’t address here. For many people, maybe the majority of ordinary believers, believing in God just isn’t about gathering evidence, listening to arguments, and trying to make an informed, reasonable decision. It’s a sort of declaration of intent, a statement of mental practice, and an avowal about a group of things that they will say to themselves and others. Many people, as Daniel Dennett points out, believe in belief. To think about God stuff, to be mindful of religious truisms, and to “be spiritual,” are good things, they figure. They make you happy (you think) and they give you guidance. They alleviate loneliness, angst, and being forlorn. Reading the Bible, socializing with other believers, going to church are all personally rewarding and fulfilling activities. The mistake, of course, is slipping over to talking and arguing as if those claims are true. Emotional benefit and psychological edification are not reasons. They are motives. But wanting and is are fundamentally different things. Wantings and feelings can’t be taken as grounds for thinking any of that stuff is true. Epistemologists in the western philosophical tradition have confined their accounts of belief, for the most part, to the notion that a person has a mental attitude of assent about a proposition. The person takes some state of affairs to be the case—to be true. To believe is to take to be true. I’m open for suggestions. Maybe getting clear on the differences between these avowals of religious intent and taking something to be true will help us sort out the endless confusions that theists have in trying to understand what we are saying. A lot of atheists approach me with questions of this form, “What do you say when believers say. . .” and the gist of the comment is “Well, I just have faith,” “We just can’t understand how great God is,” “This is all temporary, all will be set right in the end,” or “God isn’t something that we can grasp with our puny powers of understanding.” What these non-believers are rightly frustrated with is that they have earnestly engaged in a serious dialogue with a theist, hoping to make some sort of reasonable progress towards a resolution, but they’ve been stone-walled. And they’ve been shut out with a maddening response. The believer here has announced his or her intention to simply believe no matter what, despite any contradictions that it will embroil them in and even though the questions and objections that have been raised are valid. There are several reasons that these sorts of stultifying answers from theists are so frustrating. First, it’s often not clear how it’s a response to the issue at all. If the non-believer is raising legitimate questions about why a good, powerful, and knowing God would permit so much pointless suffering, and the theists responds, “God’s plans are mysterious,” then the theist hasn’t given an answer to the problem, they’ve just restated it. Yes, it is a baffling mystery how a being like that would behave in ways that are so clearly opposed to its ascribed properties. Imagine if a defense lawyer reacted to a mountain of damning evidence against her client by saying, “Jury members, it’s just a mystery how my client could be innocent in the light of all this evidence that indicates his guilt.” That would be a mystery—so much so, we should all vote for his guilt, unless you can come up something better. The mystery is the problem, not the solution. What can we say to the theist who flatly rejects to acknowledge real questions and arguments against what they are saying? It’s not clear that there is any sort of response left because they seemed to have left the realm of reasonable discourse altogether. If they think something is true, there has to be some sort of evidential and rational source for their confidence that their conclusion is right despite all of these counter indicators. If they’ve been paying attention, all of these powerful arguments against the plausibility of omnipotence, omniscience, and infinite goodness raise the bar such that they have to have proof for God that is so strong and so beyond doubt, it trumps all of the counter arguments. That is, at the very least, all of the questions and arguments against the God properties and against the existence of God that we now have create a rather substantial hurdle for the serious believer to overcome. It’s not that belief is always irrational—I won’t go that far. But reasonable, and sincere belief must take into account the counter-evidence. If it can’t or won’t, then the belief isn’t reasonable any more. The irony is that when we ask people what they think about God and certainty, it is very common for them to acknowledge that while they believe, the existence of God is emphatically not something that can be known for certain. The question here is, can it even be known with enough certainty to overcome the general objections that so many thoughtful people have raised? If there is no rational or evidential ground that is the source of the confidence in the believer’s remarks, then there’s not much that reasonable people who care about evidence, reasons, argument support and so on can say to them. They have left the game that the rest of us are playing and have opted to abandon rules of any sort. What can you say to someone who’s being patently irrational and proud of it? What “Well, that’s just my belief,” really means is, “this is something that I am not interesting in subjecting to any serious rational scrutiny. I’m not interested in problems, contradictions, falsehoods, and confusions within my view. I’m just going to believe no matter what.” There is no answer to this, atheists, because the notions of answers, questions, reasons, and arguments all presume a minimal commitment to the truth and being reasonable that this believer has rejected. What started as a discussion of God should now shift to a discussion of the legitimacy and demands of truth, reason, and argument. It may be fruitless to point it out, but this believer is in deep conflict with their own practice on the matter. Normal people would never accept these kinds of bull-headed, dogmatic, and irrational responses to anything important in their lives. They’d never accept a doctor’s diagnosis given in this fashion. They wouldn’t even accept a mechanic who said, “I have just chosen to believe, despite all of the evidence, that you need a new $3,000 engine.” In their daily lives, they demand more reasons, subject them to more scrutiny, and refuse to ignore the evidence a thousand times. Perhaps this comes as no surprise. The stubborn theist can acknowledge that the stance they are taking towards God is unlike their view about any other thing. If the theist doesn’t care about the role of reason with respect to God, it’s hard to get them to come around. The important point, that the theist should acknowledge, is that a God belief is a very important, influential matter in someone’s life. It figures in all sorts of their important decisions and has an effect on much of what they say, believe, and do. That alone should convince us all that this is not a subject where we can so easily reject the role of reasons and argument in favor of personal inclination. If none of that works, at some point, with many believers, we just have to throw up our hands and leave them to their insanity, I suppose, because there really isn’t anything, even in principle that would make them alter their course. Ironically, as Jesus said, sometimes the seeds we sow fall on rocky soil and they have no hope of sprouting and growing. When confronted with the messier details of specific religious doctrines, many believers who themselves are religiously inclined but who don’t agree with the standard orthodoxies will adopt a very general concept of God that they think transcends all these petty disagreements. The Baptists, Catholics, Jews, Muslims, and Hindus all have different variants on a basic idea that make them appear to be fundamentally different, the line goes, but when we view them all from a sufficient distance we can see that really they are all worshipping or believing in essentially the same thing. They all subscribe to the general notion of a higher power--a guiding force—and their religions all do more or less the same thing for them. As a result, these post-doctrinal believers find both the squabbles between sects and the serious literality of atheists’ attacks on religion to be largely missing the point. People will do bad things, and people will do bad things in the name of religion, but that’s not the fault of religiousness. The impulse to divide, become orthodox, fight against contrary views, and to exclude those who don’t think like you are human faults. But believing in God and the positive influences that belief can have should be encouraged. Specific religious doctrines shouldn’t be taken too seriously, but there’s nothing objectionable about belief. Our notion of God should be sufficiently general to transcend the problems that inevitably come out when people take religious doctrine too seriously. All of these people are on many different paths to the same God. Against the backdrop of this general celebratory spirit about religiousness and positive feelings about people’s relationships with a “higher power,” strident atheists come across as stingy and cranky. But making a distinction between what real Christianity (whatever that means) is and is not, requires making some hard calls about what’s true and what’s false, or what God is and what God isn’t, and what is a correct view of God and what isn’t. There just isn’t any getting making some firm decisions, and firm decisions require evidence, reasons, arguments, and justification. What the Many Paths, One God mentality stinks of is intellectual laziness. It’s an inability or reluctance to actually ponder through the implications of one’s actions on Sunday morning, one’s words, one’s behaviors and appreciate their meaning. We’ve seen the distinction between narrow and wide atheist described here. Whatever the Many Paths believers means by God, then let’s get that out on the table and see what it is. Then let’s see what the reasons are for thinking that anything like that might exist. If they don’t hold up to the light of scrutiny, then it needs to go on the scrap heap of bad ideas too, and that’s just one more conception of God to jetison, justifying a wider atheism than we had before. It’s a myth to think that adopting what appears to be some kind of generic theism will help you escape the insurmountable difficulties associated with the God concept. So our new mott should be: Many Paths. . . No God.